Every once in a while, Real Madrid and Barcelona collide in what many claim to be one of the biggest rivalries in the World. 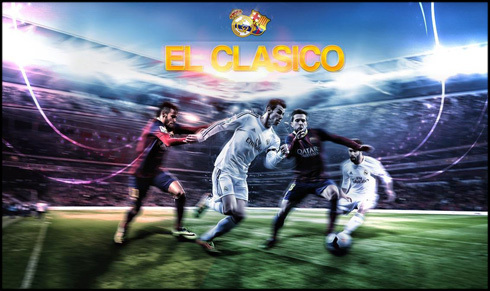 This Wednesday night, the stage in Valencia will be set to host the last "El Clasico" of the season, as Barça and Real Madrid will lock horns to decide who takes the Copa del Rey trophy back home. We're reaching that time of the year where more than anything else, character and bravery must stand out in players in order for their clubs to be able to get to the much-wanted silverware. Real Madrid and Barcelona are coming into this game each struggling in their own way, but in clashes like these, it usually comes down to who wants it more. 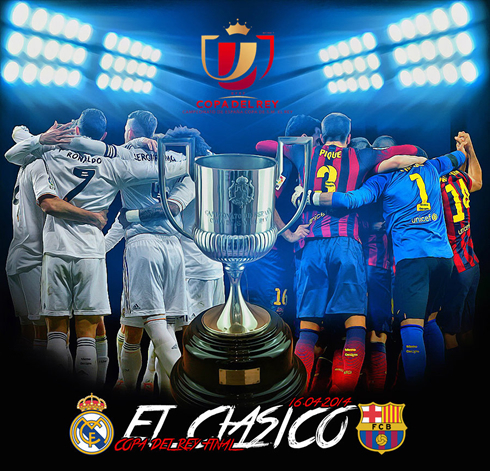 The "Clasico" will take place in Valencia's stadium, the "Mestalla", precisely a stage that still holds great memories for any Real Madrid fan, since it was there that the Merengues won their last Copa del Rey trophy, thanks to an extra-time goal from Cristiano Ronaldo. This year, however, the Portuguese star might very well be the biggest absence in the "Clasico", as he's still dealing with an injury that should keep him sidelined for the next 10 days. Even though it's Real Madrid who currently sits on top of Barcelona in La Liga's standings and that unlike the Merengues, Gerardo Martino's men were the ones who indeed did get knocked out of the UEFA Champions League quarter-finals, according to Betfair odds it's Barça who comes into this "Clasico" with the favorites' label. 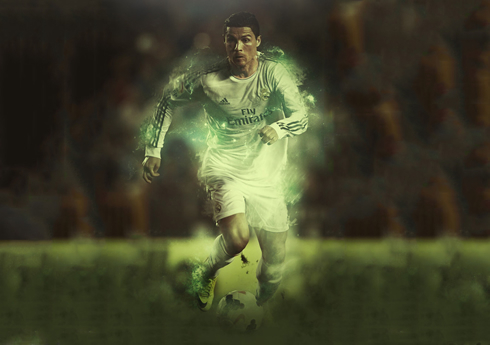 The slight edge that many football pundits are recognizing in the current Spanish champions is definitely not immune to the fact Real Madrid will most likely be forced to step onto the Mestalla stadium without their main man, Cristiano Ronaldo. Judging by what we've seen happening in the last days, starting in official Real Madrid medical reports to very cautious public statements about Ronaldo's return date, it seems fair to assume that the likelihood of the former Manchester United star playing in the "Clasico" is extremely low to say the least. Having that in mind, it's easy to understand that Carlo Ancelotti will have a few critical decisions to make ahead of this match against Barcelona. The Italian manager spoke to the journalists this Monday afternoon and despite not having ruled out Cristiano Ronaldo for the Clasico just yet, he also admitted that he's not willing to take any risks by playing CR7 if he's not fully fit. However, the Portuguese forward didn't even join his teammates in this Monday's training session, so it's surely more than plausible to think that Ancelotti might just be trying to play a few mind-games with Barça, by leading them to think that Ronaldo could still play a part in the game. With Ronaldo out of the picture for the Copa del Rey's final this Wednesday night, Ancelotti will have to find a replacement for the 29-year old forward, which is something he has already been forced to do quite a few times this season. The more logical solution would have been playing Jesé Rodríguez, by granting the "Canterano" a similar role to the one Ronaldo usually has and all that without making any drastic tactical changes... Unfortunately, that won't be an option, since Jesé is also struggling to recover from a far more serious knee injury that should keep him out of the action right until the beginning of the next season. Carlo Ancelotti will have to rely on either Isco, Angel Di María or Alvaro Morata to fill in for Ronaldo, with the most likely option being the first one. The Spain international certainly possesses the creativity to dismantle Barcelona's defense and is also known for his rich goalscoring vein, which is something that can only play in his favor given the fact that the team's top scorer won't be around to help. Moreover, playing Isco upfront will allow Ancelotti to release Angel Di María to his midfielder's position, which is where the Argentinian has been performing better lately. Morata in the other hand, seems to still lack the pedigree required to start in such an important and intense game like all these "Clasicos" are, so he'll probably have to calmly wait for his opportunity on the bench. In regards to Barcelona, Gerardo Martino's biggest headache has to do with his centre defenders. Piqué seems definitely ruled out due to an injury on his hip, while Bartra's availability is also very doubtful especially after the Spanish defender found himself unfit to take on the club's normal training session, earlier this Monday. In a similar situation to the previous two players is the team's captain, Carles Puyol. The 36-year old defender has had his good share of injuries throughout his career and two days away from a decisive "Clasico", he also holds a question mark attached to his name. The only good news for Barcelona is that their main men upfront should all be available. Lionel Messi doesn't seem to be close to his best form, but he has already proved that he's magically capable of stepping up a gear in these Barcelona vs Real Madrid clashes. His new partner in crime this season, Neymar Jr, is also fully fit to play his 3rd "Clasico" since he arrived to Spain. With midfielders supporting them from behind like Busquets, Xavi or Iniesta, the Blaugrana are determined to try to redeem themselves from the last negative results with another victory against their arch-rivals Real Madrid. 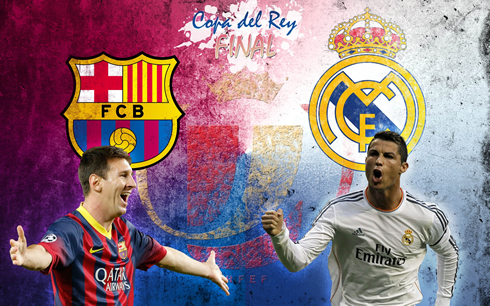 The "Clasico" will start at 21:30 in Spain (GMT+2) and 20:30 in the UK (GMT+1). You can watch Juventus live stream, it live on Sky Sports 1 in England, TVE in Spain and on ESPN if you're based in the United States. 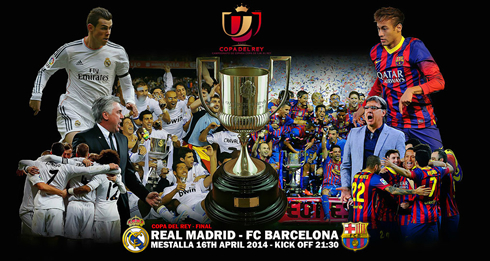 Cristiano Ronaldo next game for Real Madrid will be against Barcelona for the Spanish Copa del Rey, on April 16, 2014. 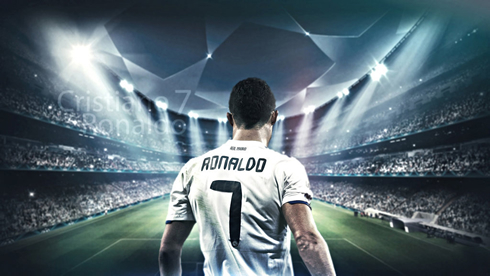 Even though Ronaldo is not expected to play, you can still watch Real Madrid vs Barcelona on this website, as well as Bayern Munich vs Kaiserslautern, Manchester City vs Sunderland, and Arsenal vs West Ham, all matches provided from our soccer live pages.